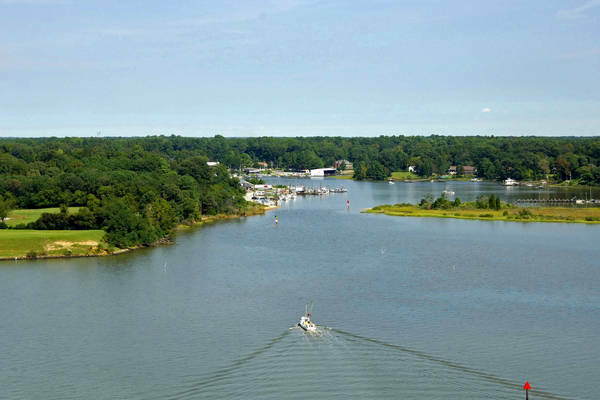 Located about 20 miles up the James River from Hampton Roads, Deep Creek is the first protected piece of water with facilities on the north shore of the James River since leaving Newport News extensive port area. 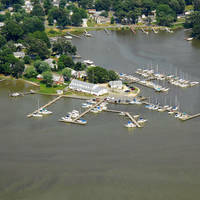 Inside the Creek are Deep Creek Landing and James River Marina, both of which accept transient guests, and both facilities also have lifts for haul-out and repair services. The image above is a view from the north-northeast lookingsouth-southwest over the opening where Deep Creek empties into the James River. The town of Menchville is located on the right (west). 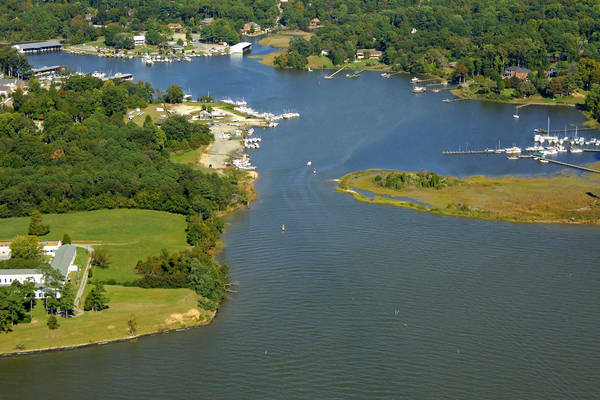 The approach to the Deep Creek inlet is along a long entry channel that reaches from the south to avoid extensive shoals that work out to the southwest from Jail Point off the Warwick River. From the James River, first set a course to intercept flashing red 2, which is located near waypoint N37 03.609 W76 03.609. Once you have picked up flashing red 2, set an approximate course of 6 degrees magnetic until you arrive near red daybeacon 6,flashing green 7 and red daybeacon 8. All of these aids mark the northwest turn into the final approach channel for Deep Creek. 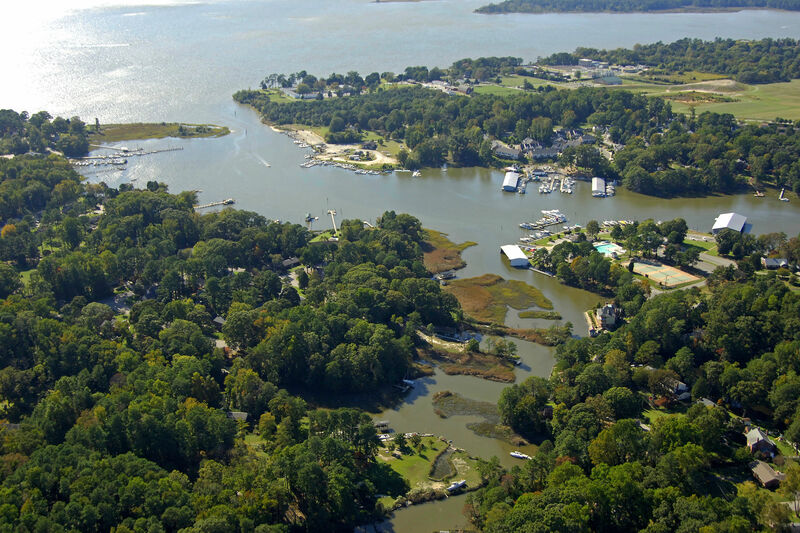 Once you have made the northeast turn, red daybeacon 10, green daybeacon 11, and flashing red 12 (visible to the left of the creek opening in the image above) guide you into the harbor. 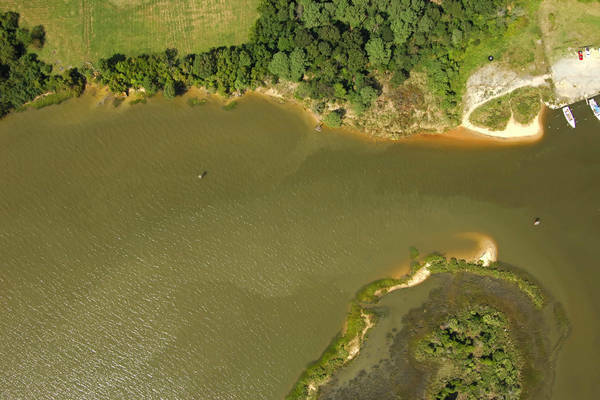 Deep Creeks channel has depths of 7.5 feet both on the approach channel and the turning basin inside. 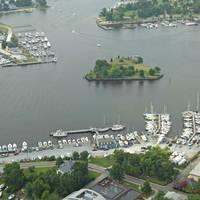 The harbor is well protected from all directions. No reviews yet! 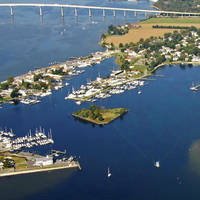 Be the first to write a review of Deep Creek Inlet.